I can't believe it has been so incredibly long since I posted here. I've been busy crafting but just haven't been able to get here to post what I've been working on. One of my latest projects was making some cute pumpkins with my dance troupe for a nursing home visit we were doing. 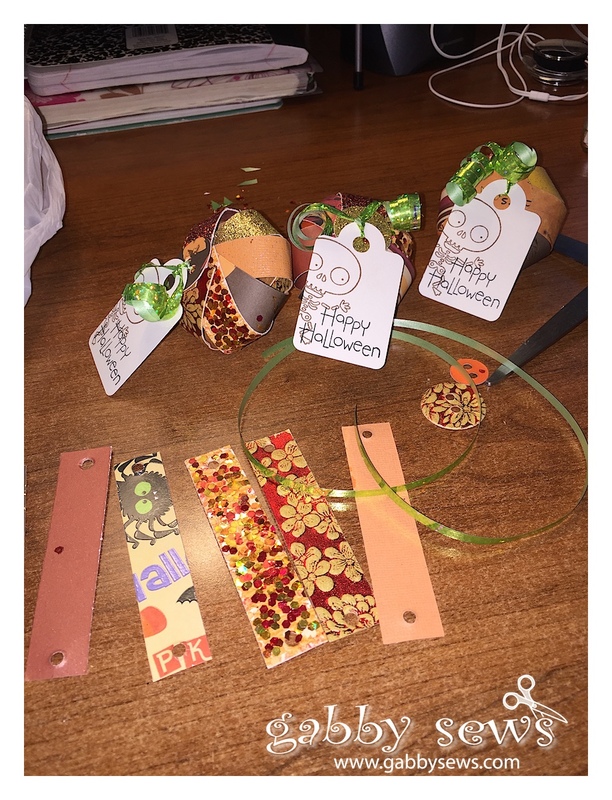 One of the other girls brought in the crafting project for everyone to put together and I made the tags. I used the Little Monsters stamp set (C1630) from Close to My Heart for the cute skeleton and sentiment. The tag was just a simple tag cut out from my Cameo. 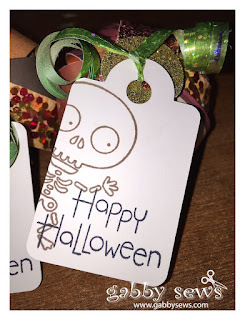 I really like how it looks like the skeleton is peeking into the tag. I needed to make 60 of these so I really needed something fast and easy but still cute. I really think this worked! I stamped the sentiment in Memento Tuxedo Black ink and the skeleton in CTMH Chocolate ink.